Namaste—i bow to the Primordial Mother who resides in you! During the Dark Age, when mobs of righteous, ritualistic SYs roamed the countryside looking for heretics like Deepak Chopra, Walter Mercado and others, i had the misfortune of being a conscientious objector in their company.... till fortune—confirming that i had experienced enough ignorance and repulsion to most happily leave the Montreal collective and forever wander alone—cast Her Eye of Compassion that mercifully isolated and insulated me from the mobs of the presiding priests of the InquiSYtion (WCASY). This is a post for those SYs who still do not have that consciousness or courage to be conscientious objectors. It is about the heretic Walter Mercado, which the righteous homophobic mob—goaded by the frenzy of supreme self-realization—wanted to burn at the stake as they believed he was gay (as Deepak was straight). May it prick their conscience and remind them that the Dark Age still lingers in SY, even though nearly a decade has passed since humanity entered the Third Millennium. If only they knew that Jesus Christ—by sending the Comforter to explain in detail His core message and teaching, and initiate the Age of the Last Judgment and Resurrection—kept His promise of universal salvation and evolution into the eternal spirit! "That major religions would be facing such challenges to their basic structures and doctrines is reflective of the increasing energy of the New Age affecting their flocks. The New Millennium opens an era of renewed and individual spirituality, in which we will no longer seek interpretations of the scriptures from others, but will connect directly with the universal spirit and understand the meaning of the holy works ourselves. But we must first pass through the final days of the dying era, which, as all eras before it, will burst forth in a concentration of negative energy, some of which we are already witnessing. In the Book of Revelation, the Bible speaks in apocalyptic terms of blood, pestilence, suffering, and violence—all the horrors to be rained down on humanity before the chosen stand beside God in the millennium of peace that reigns thereafter. Many interpret this to mean the end of the world. But it is not the end of the world, it is the end of the past. These are not contradictory concepts. In the symbolism of the Bible verses, the world as we know comes to an end and all humanity unites in peace to bring the way of Christ to all the Earth, to bring the spirit of Christianity out of the Book and into our lives. This is the very spirit of the New Age, of compassion and caring for our fellows on Earth, of fraternity and unity and peace. But before it comes, the old must be purged. The only way it will be purged is through a washing away of the sins of the past and thinking of the past, to open the way for what is to be. And as many devout believers in scripture say, those times are already upon us. In the Age of Aquarius, we break from the past to invent the future we desire in our society and in our person. The answers we find will be wholly new ones, totally original ones, but they require a thorough examination of what has been and what we wish to come. All our institutions as we know them must adapt to this new reality. All of our institutions as we know them must adapt to this new reality. The time is not just for the integration of humanity, but for the integration of all its codes, canons, and concepts. We are not just reinventing ourselves, but all of our systems of society. The rules that bind, the laws that chain, the edicts that keep us in constant conflict with ourselves, all come crashing down. The Bible speaks of the Second Coming of Christ, of a millennium of peace that comes when Jesus returns anew and all of us join together universally. The time is at hand. Christ is coming, but not physically, spiritually. The Bible spoke in many metaphors. The Spirit of Christ is what comes now in our souls, in our awakened spirituality. The cosmic inner Christ is coming. It is time to realize that we are all the"children of God," and that the"Son of God"came to show us the way to unite with that divine universal spirit. What is important now is to seek the true meaning of the message of the masters. For two thousand years, those messages have been exploited, used by preachers, pastors and priests to build gleaming castles, to build treasure troves of riches while the poor starved. They served as salesmen of paradise and perdition to build palaces. But few put the message of the masters, the message of love, into practice. Often, it was just the opposite. Too many have been killed in the name of God. The Crusades sent army after army to wage war in the Holy Land. Inquisitors and pious prosecutors sent too many so- called heretics and witches to their deaths. Now we must renounce all the venom of the past, release the centuries of anger, and breathe the peace and love of the Age of Aquarius. We must stop being beggars seeking salvation or praying for prosperity and become grateful participants in the order of the universe, in harmony with it"
A Time Warner Company, 1997 p. 71-109. In this remarkable book, Walter Mercado explains that mankind is at a turning point. We are passing through a crucial portal in time. He advises that the catastrophic human and natural disasters of the recent past are the death throes of the 2,000-year-old Age of Pisces. And he divines a golden epoch of peace and enlightenment ahead: the Age of Aquarius. - The new person of the New Age will be rich in knowledge, rich in spirit, and rich in consciousness. 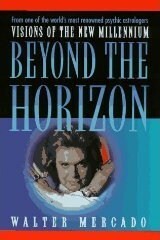 In the fascinating tradition of The Celestine Prophecy, Beyond the Horizon delves into the mysteries of the past to inform us of the shape of the future. Insightful and uplifting, it is your personal guide to our newborn global community; a survival handbook for the coming transitions that will affect us all. 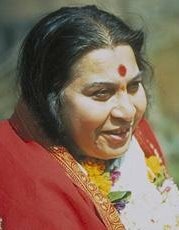 Shri Mataji "Kaliyuga is at its worst now. The kind of things people are doing even in the name of God is shocking. But that is Kaliyuga, where we have lost all sense of direction. We don't know which way we are going. All kinds of wrong things we are doing and we think its alright. After all what's wrong in it. Everything you tell them, they say what's wrong? You tell them don't do it, they say what's wrong? That's how every human being has become very individualistic. In a way he is not, because they follow a fashion, they follow a style. I mean they are not. They are slavish. But they believe that they are very independent. They are free people. They can do whatever they like. As a result of this freedom, in this Kaliyuga, what has happened with them is that they have become extremely ugly. The kind of things they are doing in Kaliyuga is unbelievable. Even when they are preached, they are in the Churches, this thing, that thing. They become so horribly immoral that you can not believe how come that be in the name of God, under the roof of God. But it has started, that is Kaliyuga. And this Kaliyuga has to be finished. So what do we do to remove the darkness of the night, is to put light. In the same way people should be enlightened. There should be light in the hearts of people. Once they are enlightened, this darkness, from which we are suffering because of our ignorance, will be finished and we will have the absolute knowledge. So this is a New Age that we are talking about here, right now here, that it is going to work out in such a manner that there will be all enlightened personalities together and they will know what is right, what is real knowledge, Gyana. So ours is the path of knowledge. Knowledge that is love. Knowledge that is compassion. This is what we have to understand that we have come into another area, arena where all the skirmishes and the troubles of Kaliyuga cannot interfere. Its reigning outside; nothing inside. Its like that that we are now not only free but whatever we are doing is nothing but freedom. Today we are not attached to anything that can debase us, make us lose grip over truth. When such a personality is brought in, then what happens? That all these ideas of Kaliyuga will disappear. But I must say it is the Last Judgment at the same time Those who accept the truth and reside in truth and grow in truth will remain, and all other will be perished. It is said already. Like you see a garden in which there are some trees, which are nourished well, which get lot of water and love and which give also so much to people. They exist. The others are burnt down and finished. In the same way we have to first accept the love, take the love, nourish yourself with that love and then you give to others. This is a simple way you can overcome the Kaliyga's curses. Kaliyuga is so much full of darkness that we start hitting each other. For example you are all sitting here. Suddenly it becomes dark, you don't know how to move, whether you are hitting others or not, with whom are you sitting, nothing. It's the same, with the darkness in the heart, darkness in the mind, you don't know where are you, what are you doing and what you should be doing? Just like going amuck you go on hitting each other. This is what is Kaliyuga and the one who recognizes it and gets out of it is the Sahaja Yogi. Otherwise they are just like other people, if you are still in the same periphery, in the same circles of imbalance. Now another thing in Kaliyuga is this that even if you are hit, even if you are destroyed, they just don't blame themselves. Thus another horrible temperament can develop that you blame others, never yourself that it is your mistake that you hit yourself. It was you who did wrong and that's what it is. This is what we call the illusion, the `Bhram'. And this illusion has to go away. For Kaliyuga it is said it is the Era of illusions and this illusion, if you fall into it you are finished. But if you see the illusions then you try to seek the truth. That's why today the seeking is very strong because they can feel it is an illusion. It is not the truth they know and once they know it is not the truth, what do they do? They want to know what is the truth, where is the truth? And they try to find it. That's how also in this Kaliyuga the seeking has started. The story about Kaliyuga is also told in another Puranas, Damayanti Purana. Where Damayanti, the wife of Nala was separated from him because of the same illusions created by Kali. So one day it happened that Nala got hold of this horrible Kali and he said that now I am going to strangle you and finish you up. So Kali said, you can do it, but first listen to my importance, my Mahatmaya, what importance I have, why I am here? So he waited. He said now agree, if you listen to me I will tell you. When I will come and I will rule the world, means when there will be Kaliyuga, people will get into Bhranti, mean illusions. They will not know whether this is truth or not and they will then try to seek the truth. But not only the people those who go to jungles and those who renounce every thing, but there will be another type, the same people who are doing this kind of seeking will, in the Kaliyuga, take birth and will be normal house holders and they will get into these illusions. At that time when they will get into this illusions then only they will start seeking, realizing that: it is untruth and they will seek the truth at that time. At that time only they will get their self-realization. He told it very clearly, thousands of years back. So Kaliyuga is the time where people can get their self-realization. They will know their self. They will know the truth. This is said long time back and you can see now itself. So this was the time meant for that because if you are alright like in Satyayuga and all that, so you don't seek. You just accept, you are obedient, you are good people. But in Kaliyuga you really start seeking the absolute truth and that is why these lights depict that character or you can say that soul which are being enlightened. So you are all enlightened souls. For me that's the Diwali. If the people are enlightened that's the Diwali. That they remove all the darkness of Kaliyuga and you all enjoy the beauty and joy of Kaliyuga. Its very very symbolic, I should say, that Diwali has already started. We hve many lights and we have to get more lights. Not because it is short of light. Why are we taking more lights? Why do we want? Because all must be saved. Our effort is to save everyone of them. It is difficult, very difficult. Cabella Ligure, Italy—9 October 1994. Shri Mataji Question:"Shri Mataji, would you say a few words about the Golden Age, the forthcoming Golden Age? Shri Mataji:"You see, Aquarius, as they say, Aquarius according to our astrology is the Kundalini. The Kundalini is Aquarius according to Indian, I should say, Indian science of Astrology. And you see they, what they say that this age of Aquarius is very important because this will change the lives of people. And that is what they have already described about this, that now there was Kali Yuga, means the worst possible times. The whole Kali Yuga means the absolutely the worst and worst possible time for our destruction. That was over. Then comes Kruta Yuga, I mean, overlapping. Now, in Kruta Yuga, this all-pervading power, they call it Paramchaitanya, becomes active. It starts helping people to come along. That also has been going on some days. The resurrection of Jesus is not the central datum of Christianity. Crucifixion demonstrates"What dies is mortal body, not living spirit"
"Jesus presented ... salvation .. based upon knowledge of self"
What's in scriptures that has been collectively promised to all humans? When will of man and will of God are one, the resurrection is a fact. "But now it is you people who have to prove it that I am that!"